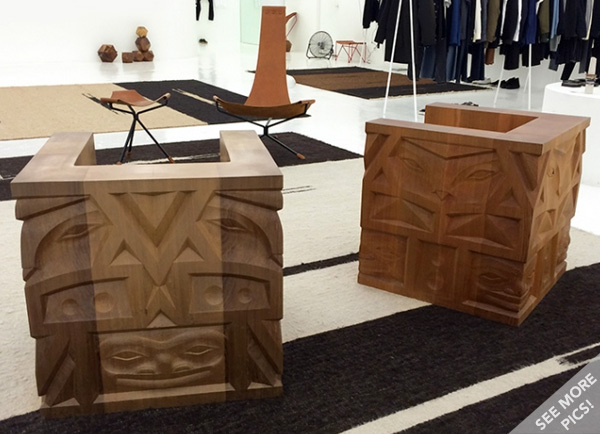 One of my favorite discoveries while in Seattle are these incredible hand carved wooden chairs by Aleph Geddis that are in Totokaelo Man! This post is brought to you by Sheraton. Click here to explore Sheraton Club.They are hosting us in Seattle this weekend, so it seems only appropriate that I share my process of diving into a new city between meetings as it applies to my first time in Seattle since i was too young to remember! 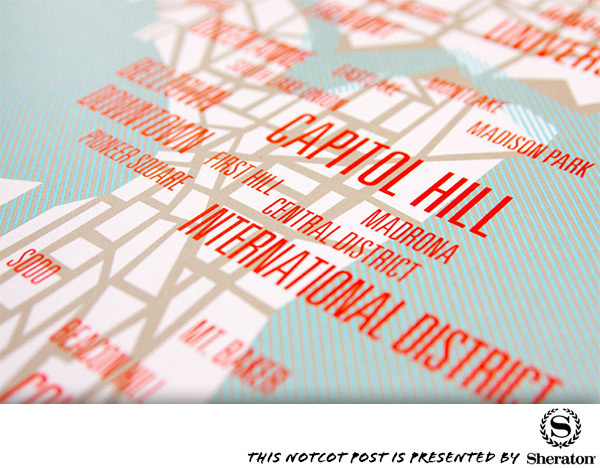 First first step, figure out the neighborhoods… maps like this one from These Are Things for Seattle are a great start. I love exploring! But having a mere few days in a new city (and minimal free time between business meetings) ~ is seldom enough to get to know it like a local! Unless… you find optimal ways to plan out what to go see! Diving into a brand new city you know next to nothing about is always both an adventure and completely overwhelming. Traditionally there are tourism boards and guide books to give you a feel for the touristy “usuals” that out-of-towners tend to cluster at, but i always get more curious about what locals are doing, what’s up and coming, and what is most unique! So, beyond asking friends and friends of friends and your hotel concierge for suggestions, here are some techniques we’ve been using! Usually i’m hunting for fun restaurants, shops, galleries, and events! Below take a peek at my usual process to navigate and discover the local side of things! 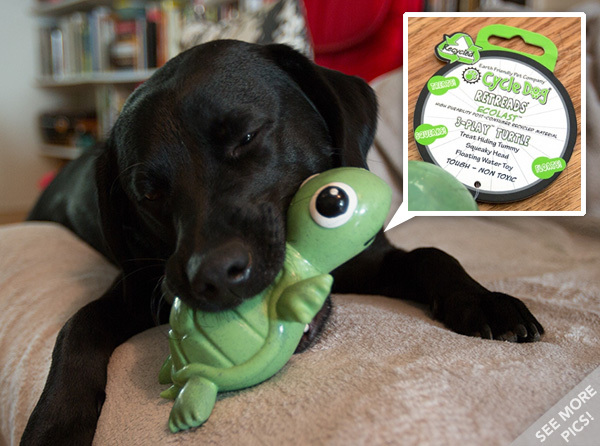 Cycle Dog’s 3-Play Turtle Dog Toy. Squeaker in the head, treats go in his belly, floats, and it’s made from eco-last material from post consumer recycled rubber. Here’s the latest from Shawn Sims, our automotive loving NOTlabs Director! He just got back from adventures with Mercedes-AMG in the desert. 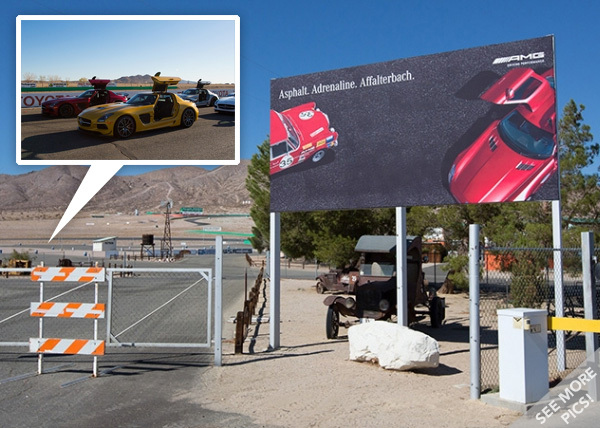 We spend 2 days on the tracks of Willow Springs with 41 AMGs… doing 150mph in the SLS black series, exploring the desert with the G63, peeking at the late night garage repairs, and more! Here’s the latest from Shawn Sims, our automotive loving NOTlabs Director! He just got back from adventures with Mercedes-AMG in the desert. 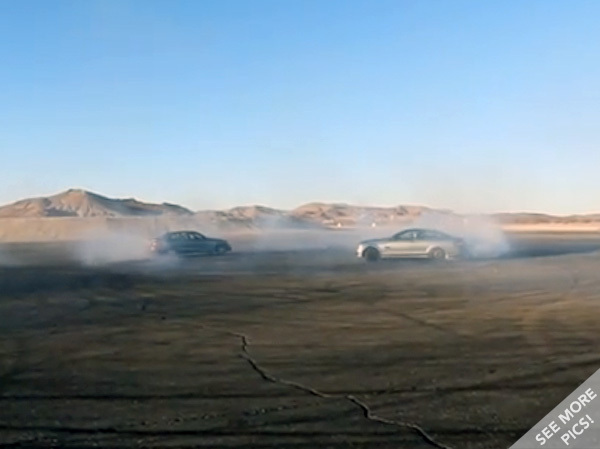 A pair of Mercedes-AMG C63 507 editions (sedan vs coupé) donut duel in the California desert during the Best of AMG at Willow Springs. 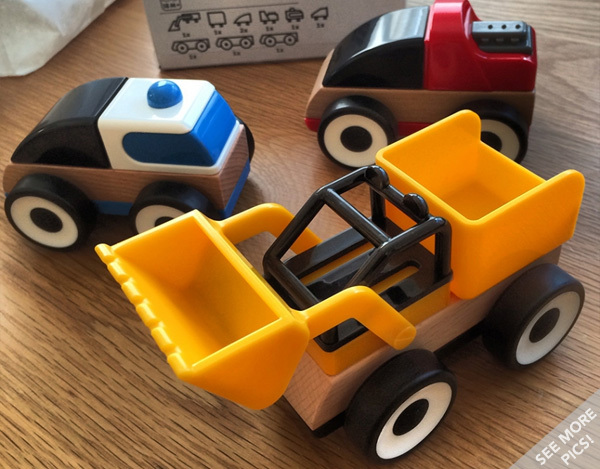 IKEA Lillabo Toy Cars - modular and made of wood and plastic. 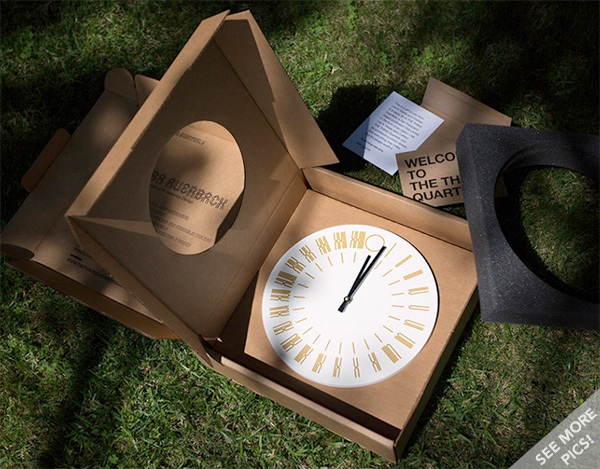 Designed by Henrik Johansson. 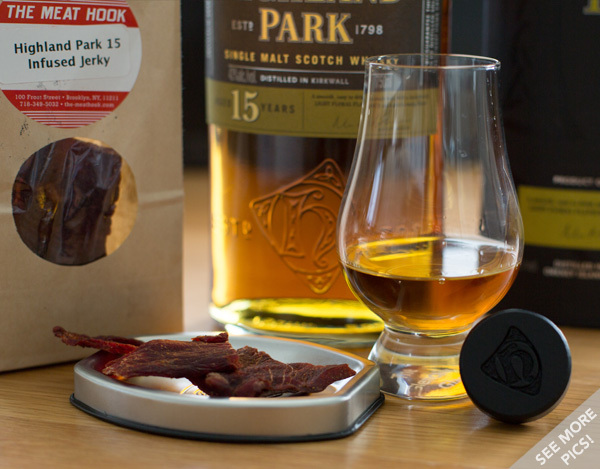 Highland Park teams up with The Meat Hook in Brooklyn to create a delicious Highland Park 15 Whisky infused Jerky! 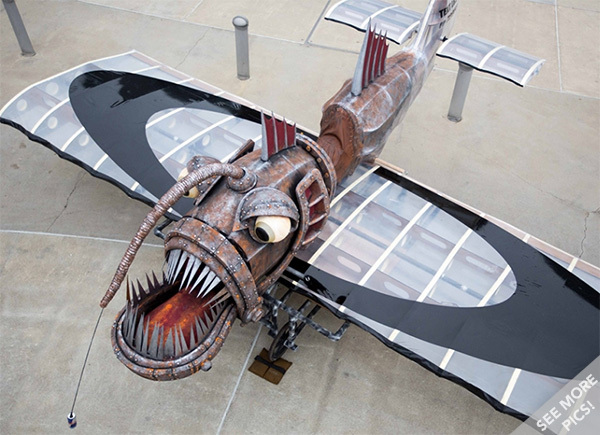 Oakley Factory Pilots’ Der Fliegende Fish took flight in the National Red Bull Flugtag. Love the angler fish design. 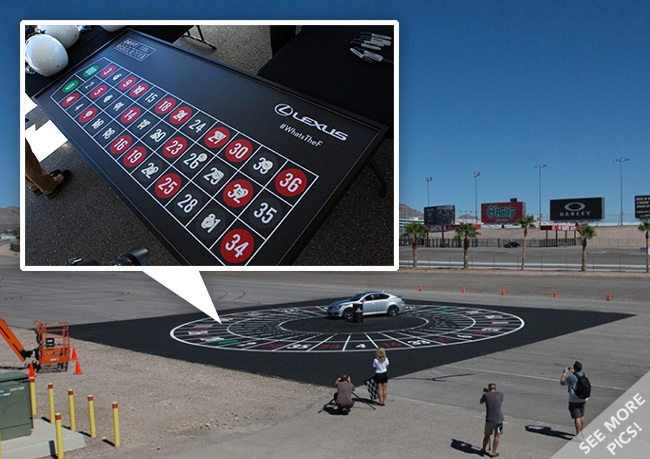 Lexus brought us to Las Vegas for some Lexus ISF Drifting Roulette with pro drifter, Ken Gushi behind the wheel. Even though we didn’t win, it was quite the site to behold… video, pics, and more. This post is sponsored by the Ford Transit Connect. For this next Transit Connect adventure, I was sadly stuck at home on jury duty, so Shawn Sims hopped out to NYC to join the folks at Café Grumpy as they did super early morning deliveries. See our first adventure with the Butler Blue Mobile Transit Connect here. Café Grumpy was founded in 2005 (just like NOTCOT!) with a passion for quality coffee and it has been amazing seeing how they’ve grown over the years. With the opening of the latest (5th!) Café Grumpy in NYC last week, we knew we had to head over and check it out when we heard they too use a Ford Transit Connect to deliver their coffee and pastries! Beyond their cafes, they also have the Café Grumpy Roastery, where they hand-roast small batches of specialty-grade coffee on a restored vintage Probat, and the Café Grumpy Bakery, where they bake their pastries and other deliciousness! And all of this goodness gets transported in their Ford Transit Connect to the cafes… with the launch of the latest cafe in the Fashion District in NYC and more to come, Caroline told us that she’s thinking about figuring out custom shelves (which the Transit Connect is ideal for) to better optimize the space for their deliveries. 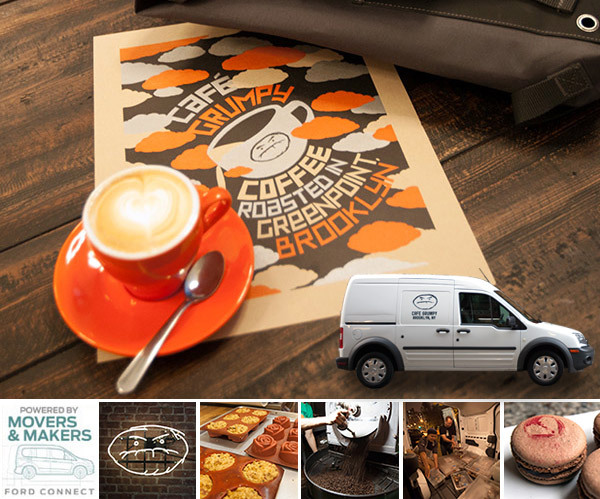 So we tagged along for their bakery and roastery deliveries to see what their process is like and what their dream Ford Transit Connect set up might be… as well as tasting some delicious coffee, pastries, and checking out the adorable stuffed grumpy beans! Check out our adventures with Cafe Grumpy on the next page! p.s. If you’re feeling some de ja vu, but have never visited a Café Grumpy, perhaps you’ve been seeing/hearing about them in Girls, where some of the main characters work. Here’s the latest from NOTCOT’s London-based editor and resident zoologist, Justine Aw. The experiment of the week— i’ve been trying out superposts that live over at NOTCOT.org! So click the pics to see the the full features with tons of photos, details, and more! 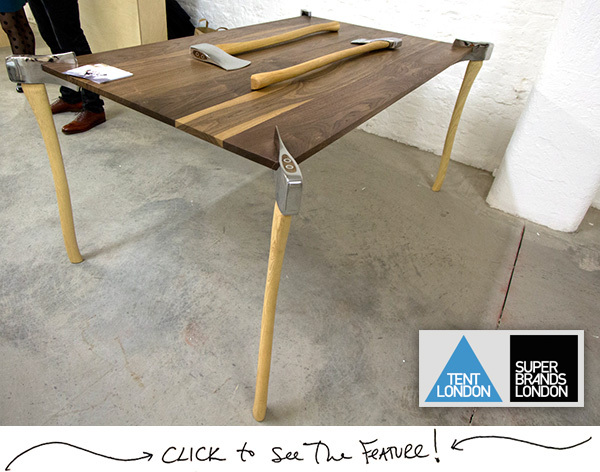 A look at Tent and Superbrands 2013 at the Old Truman Brewery, complete with axe table legs, conveyer belts, constellations, woody kids bikes, installations and more. Our look at Worldscape, from Atmos Studio, at 100% design. 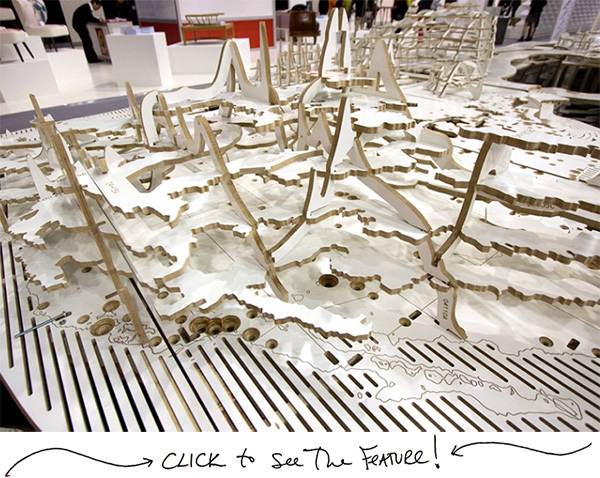 The flat-packable table seats 80 diners around a relief map of the world and is created from CNC cut plywood. 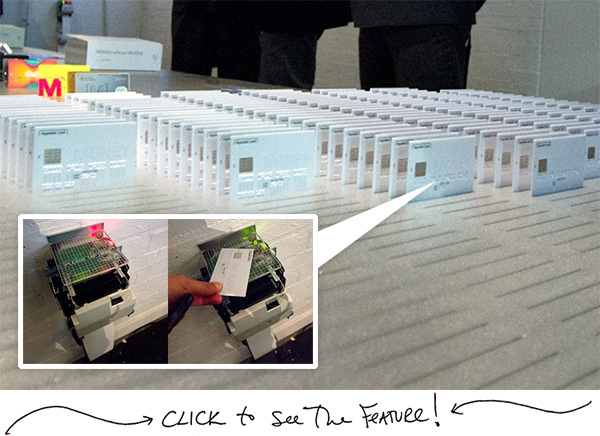 Money from Hyundai Card at designjunction, an interactive installation introducing pretty new metal credit cards and an interactive exhibit where tapping the cards prints informative receipts about the project. Microagriculture in your own home? 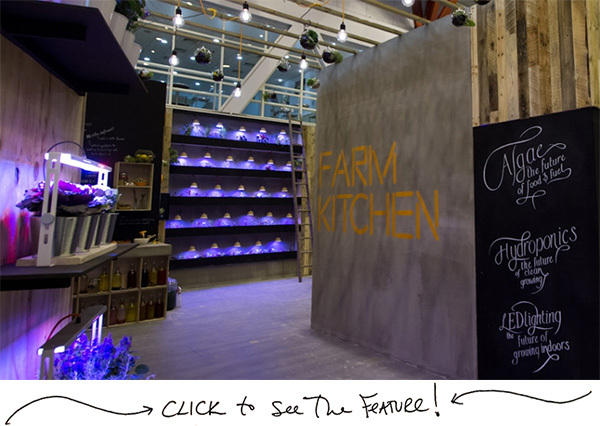 Bringing hydroponics, algae tubes and more into the kitchen at Farm Kitchen at 100% Design. Amazing installation designed by mette. 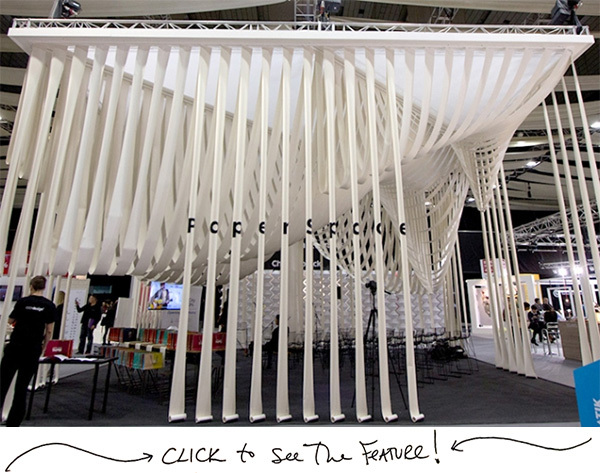 One of my favorite lecture spaces within 100% design this year was Paperspace designed by Studio Glowacka in collaboration with Maria Fulford Architects. 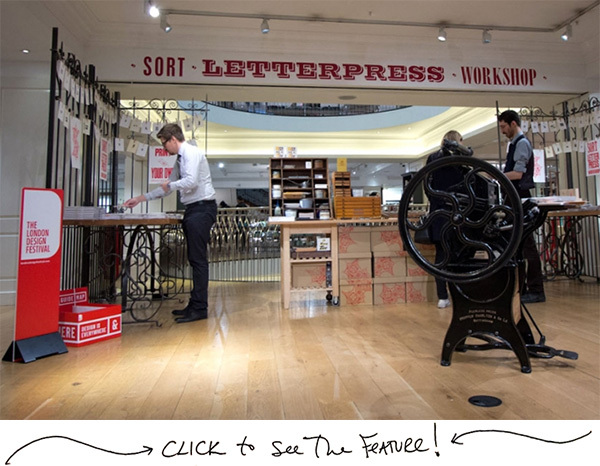 A letterpress studio from Society of Revisionist Typographers - SORT popped up inside Fortnum and Mason for the London Design Festival. Experiment of the week, i’ve been trying out superposts that live over at NOTCOT.org! 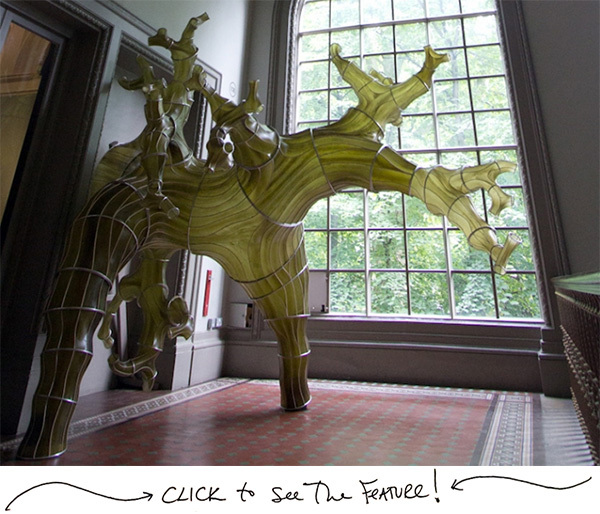 So click the pic to see the photos, details, and more! Here’s the latest from NOTCOT’s London-based editor and resident zoologist, Justine Aw. This morning, I made my way to Top Drawer at London Olympia. 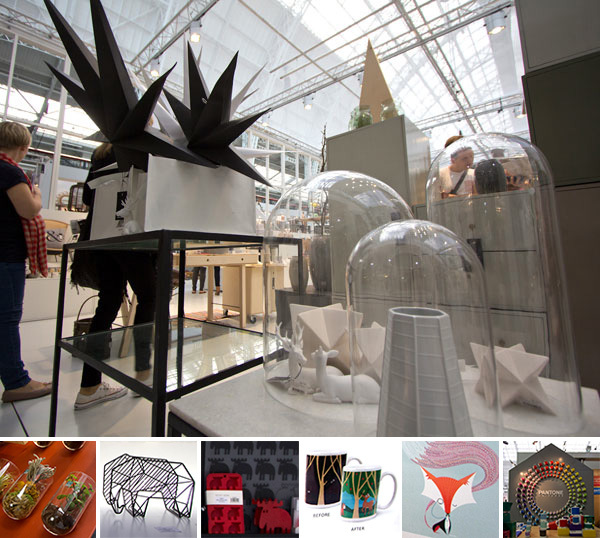 The show features a wide range of suppliers and was filled with fun products and design inspiration. Here are a few of our highlights featuring designers from Britain as well as around the world, including Australia, Sweden and more! 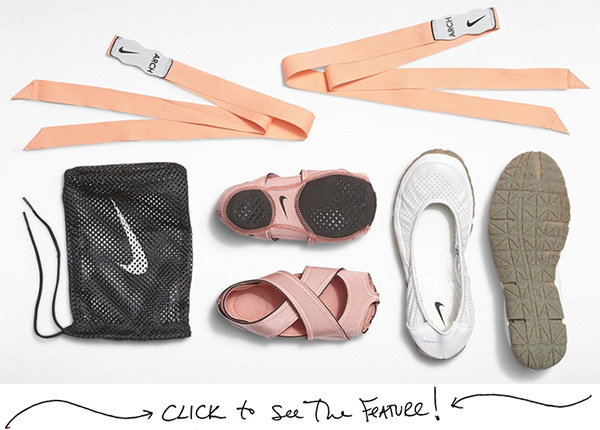 Can’t wait to see more of these products in stores soon! Check it all out on the next page. This first edition of CONTAINER is limited to 200, and each is individually numbered and signed by each contributor. While i’ve been fascinated by this collection for some time now, the hardest part about writing this post is how much there is in here! Truly this new publication has held my interest (and helped inspire me) far longer than most print mags which i often read through in a few minutes. 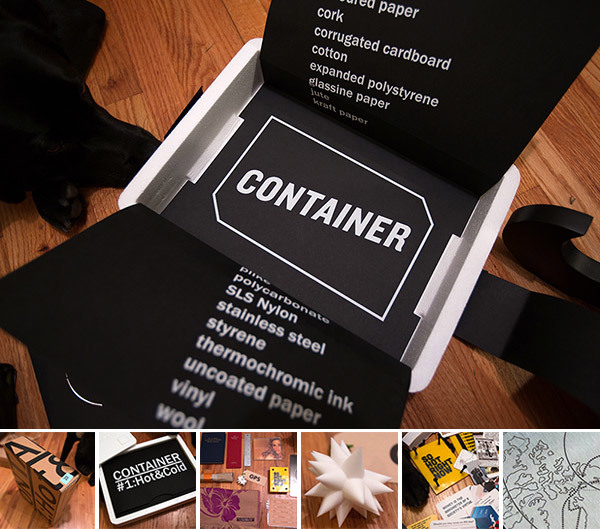 And beyond what is in the box itself, the digital side is equally fascinating - there is a whole CONTAINER development tumblr, which is an AMAZING look at the random thoughts, design details, and prototypes that lead to the objects in the box now, as well as the CONTAINER blog, with even more stories! The truth is, seeing, feeling, playing with the objects is only the tip of the iceberg to these though provoking pieces. This one contains objects from Accept & Proceed, James Bridle, Daniel Eatock, Malcolm Garrett, David Hieatt, Leila Johnston, Mother, Rebecca and Mike, Nic Roope & Violetta Boxill, John V Willshire, and each piece is manufactured in the UK exclusively for this edition of CONTAINER. The unboxing definitely had that magical Christmas morning feeling, of endless wonders to unwrap, so go take a peek at the unboxing on the next page, with the assistance of the (not so small) puppy!